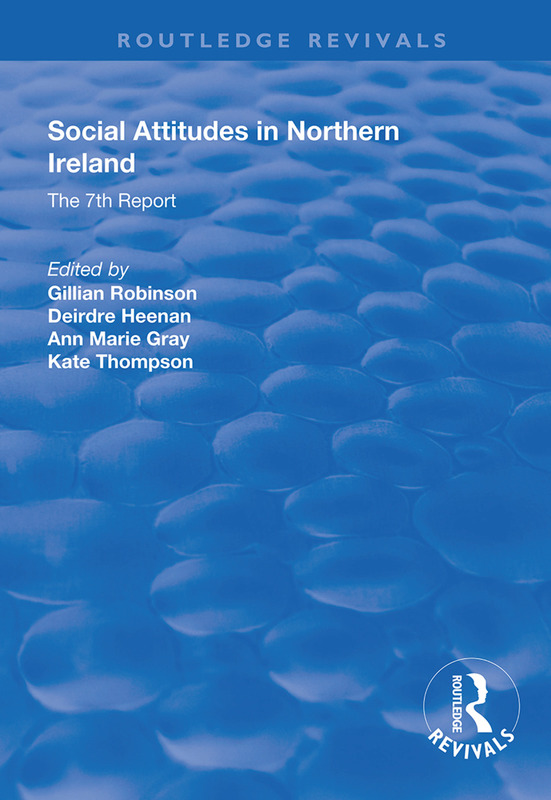 First published in 1998, this seventh volume of Social Attitudes in Northern Ireland reports the main findings of the Northern Ireland Social Attitudes survey carried out in 1996. In this survey, views were obtained on community relations in Northern Ireland; the growth of home ownership; attitudes to the countryside; the role of government in Northern Ireland; attitudes to the National Health Service; attitudes to the environment and belief and trust in the political process. The various chapters provide a measure of the feelings, attitudes and beliefs of the people of Northern Ireland on a wide range of matters. Many of the chapters chart trends from the early 1990s and analyse changes in attitudes over the period.